GAIA is an event I was involved with some time ago and a great inspiration for Nacirema. 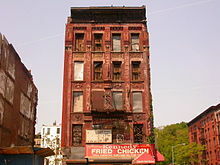 A vacant apartment building in New York City circa 2005. 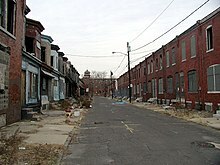 Much of the city of Camden, New Jerseysuffers from urban decay. Urban decay is the process whereby a previously functioning city, or part of a city, falls into disrepair and decrepitude. It may featuredeindustrialization, depopulation or changing population, economic restructuring, abandoned buildings, high local unemployment, fragmented families, political disenfranchisement, crime, and a desolate, inhospitable city landscape. 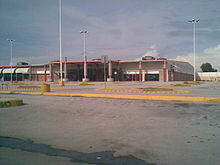 Since the 1970s and 1980s, urban decay has been associated with Western cities, especially in North America and parts of Europe. Since then, major structural changes in global economies, transportation, and government policy created the economic and then the social conditions resulting in urban decay. The effects counter the development of most of Europe and North America; in countries beyond, urban decay is manifested in the peripheralslums at the outskirts of a metropolis, while the city center and the inner city retain high real estate values and sustain a steadily increasing populace. In contrast, North American cities often experience population flights to the suburbs and exurb commuter towns, i.e., white flight.Another characteristic of urban decay is blight—the visual, psychological, and physical effects of living among empty lots, buildings and condemned houses. Such desolate properties are socially dangerous to the community because they attract criminals and street gangs, contributing to the volume of crime. Urban decay has no single cause; it results from combinations of inter-related socio-economic conditions—including the city’s urban planningdecisions, the poverty of the local populace, the construction of freeway roads and rail road lines that bypass the area, depopulation bysuburbanization of peripheral lands, real estate neighborhood redlining, and xenophobic immigration restrictions. 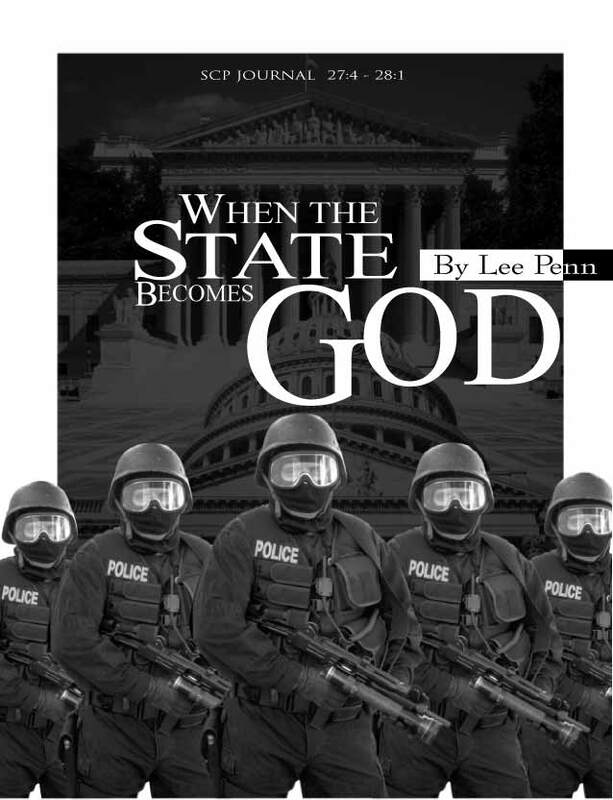 During World War I, American activist Randolph Bourne had warned, “War is the health of the State.”1 His prophecy has proven accurate; the post-1914 years have been an era of total war and the total state. It had seemed that with the fall of the Soviet Union, the state of permanent war, permanent mobilization, and permanent emergency would end. 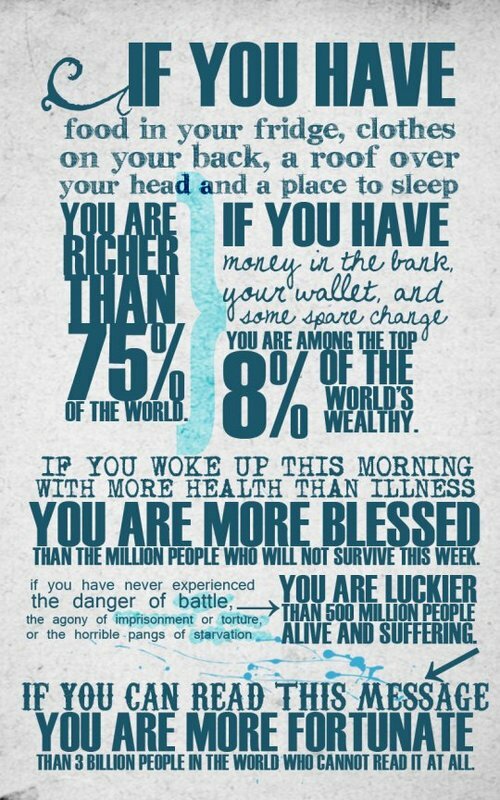 This hope has not been realized. Instead, the US and the world are now laying the groundwork for high-tech totalitarianism; liberty is in retreat, just as occurred almost everywhere between 1914 and 1945.